Whether you’re on a hunt tracking the monster buck you just shot, or in need of something to help protect your family, having the best affordable night vision equipment is essential. The dark can be a scary place, so why not limit it’s power with these nifty tools? 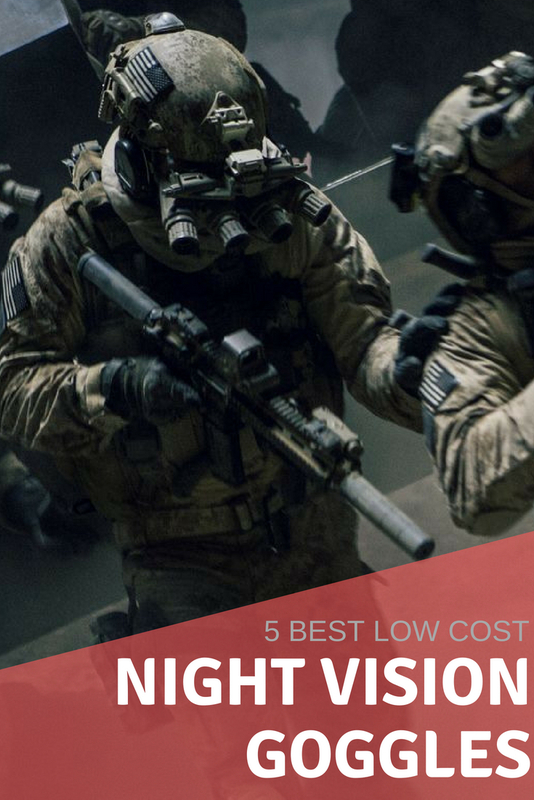 In this article we’re going to explain the need for night vision equipment in certain situations, and the best suited equipment for each as well. Our statements about these products come from shared experience in the bush, whether on hunting trips gone wrong or needing to make sure your safety isn’t in danger. We're going to cover a LOT of info, if you need to scroll to the bottom and just see what we recommend there are tables throughout this page. We need to first clear up that night vision doesn’t lift the shroud of darkness around you to reveal things as if it were day. What makes these little tools special is that they see the same darkness as you, but focus on the light rather than the dark. 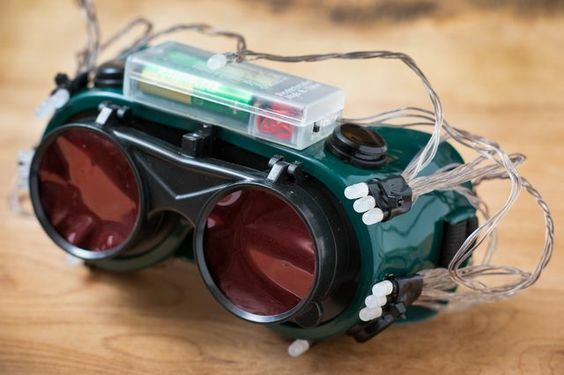 Reflected light captured by night vision is light that has bounced of a surface, and the equipment in these goggles focuses on this reflected light in the environment to make an image. Emitted light is exactly as it sounds. It’s light that has a source, like a flashlight, torch, or the moon. This light is actually the source of reflected light, which is why night vision typically works better on a clear night with a full moon. Because there’s a bigger source of emitted light to reflect off other objects, making it easier for you to see. 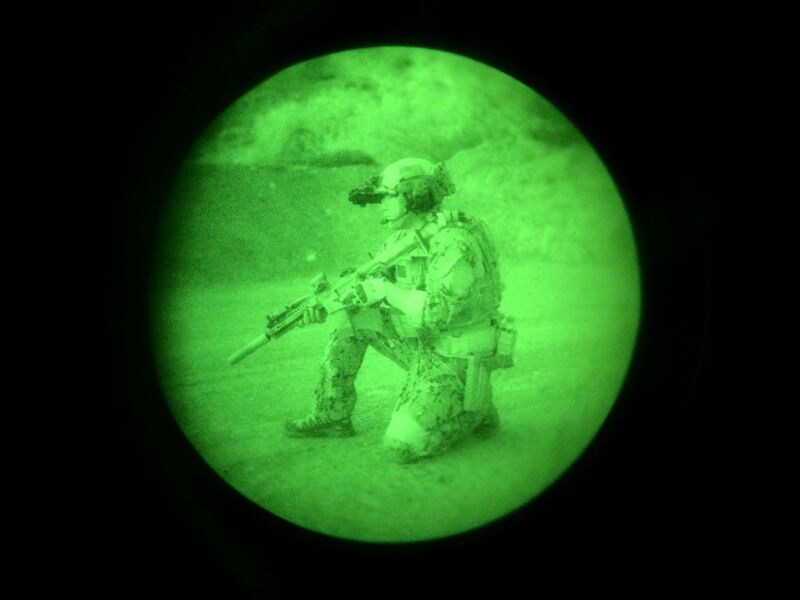 Not all night vision is created equal, and depending on your situation one is going to be better suited than the other. As the name suggests, thermal imaging uses emitted light from heat to create an image. Thermal imaging uses a special lens that focuses on infrared light that’s given off by other objects. The information used to make this image is gathered by thousands of points in the view of the detector. The final picture is a result of all these sequences that combine to make an electrical signal for a specific chip in the equipment. The chip translates the electronic signals into varied colors depending on the intensity of the heat in view of the detector. Optical or digital night vision can be called an enhanced version of what you’re already looking at. Imagine you were given a set amount of resources to put together a device that would take in a night time image and convert it to an image that’s as clear as day. Well common sense would suggest that you simply take the night time image and develop a way to enhance whatever light is there to make it show up better. And that my friends is how optical night vision works…kind of. What really makes it tick is the photocathode that works as an enhanced solar panel that absorbs precise amounts of light, which are photons, and convert them to electrons to make an image on a screen. Those electrons then hit a photomultiplier that boosts the signal of these guys enough to make more electrons. Then they pass through a phosphor screen which works like an old fashioned television that takes these electrons and makes them into flashes of light on a screen/viewer. 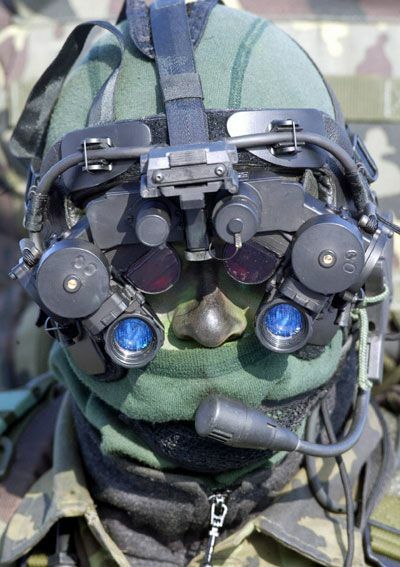 What About The IV Generation Of Night Vision? Now before we go off into the weeds of what generations of night vision are and how they apply to the equipment you can buy, you need to know that there’s no IV generation night vision tech available to citizens. This is high level stuff, and is only used by our US military and select divisions of local law enforcement. Now on to explaining generations of night vision, the long and short answer is that generations I-III fall into passive infrared vision. Passive infrared vision uses sources like moonlight and other direct light sources to help complete the image. But that begs the question doesn’t it? What is active infrared night vision? Well I’m so glad you asked! Active infrared night vision uses an external projection unit to project infrared light to enhance the image in order to make it clearer. These were the originals and are pretty scarce now that newer tech has made them obsolete. But you can still find them as an add on to passive infrared night vision equipment. 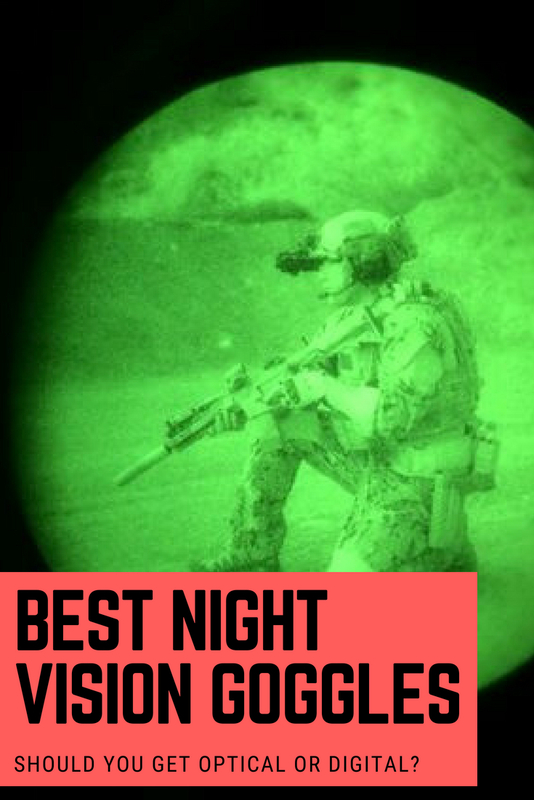 Should You Buy Cheap Night Vision Equipment? The obvious answer here is no, buying something cheap is almost always a bad idea, mostly because the adage “you get what you paid for” is true. So while quality night vision might not be the cheapest thing in the world, we’re going to do our best to find the most affordable night vision equipment for you we can. The whole reason you came to this page was to find out the most affordable equipment, right? Or maybe you were just trying to kill some time. Either way you're about to get a look at the most cost efficient choices in night vision! A monocle generally is a better design for hunting and stalking during the night. You don't want to be attempting to sneak up on the game of your dreams and spook it because you're pulling out clunky binoculars. This gen I night vision monocular is equipped with a​ power saving PULSE-IR illuminator and one of the largest objective lenses on the market! Which, as we learned earlier, means that you're going to get a better overall image from this device. Because the more light you let in with a larger lense, means the better your night vision will be! This monocle is fully weather resistant and features a condensed rubber casing that makes it extremely durable in rough situations. And at less than one pound overall, and 8x3.7x2.4 inches it's size makes it ideal for recon missions or lite hunting excursions. These night vision binoculars might be better suited to you if you're in a stationary position, like a safe house after bugging out. The detail these goggles offer give incredible resolution from a stable position. Which would give you an incredible advantage when defending your position under the cover of night. The built in IR infrared illuminator offers the amazing viewing ability with these binoculars, when in use the illuminator emits a pulsing frequency that is so energy efficient it can outlast most night vision binoculars on battery life. Yukon also had daytime use in mind when they designed these, so all you have to do is pop the slitted cap on the ends ​and you can use them during the day with the same effectiveness! If you're looking for a low cost high quality night vision monocle this might be something that could help you out. With a built in short range IR illuminator, the Vega is able to work well in little to no light situations. And the headset, that's included by the way, makes mobility and functionality a breeze. You also have the option of adding a long range infrared illuminator that will dramatically boost your viewing range, if that's what you're wanting. If not then leave it off and carry on!